Printed neon flags with black edges. 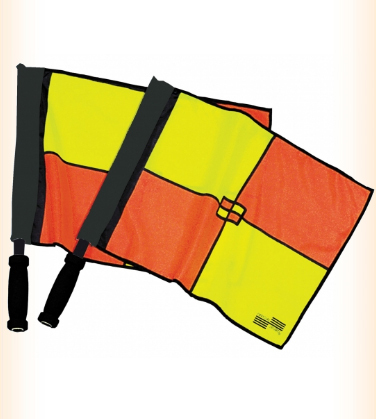 Flags swivel on black plastic poles with easy grip large black handles. "Great value." Flags 14" x 20".